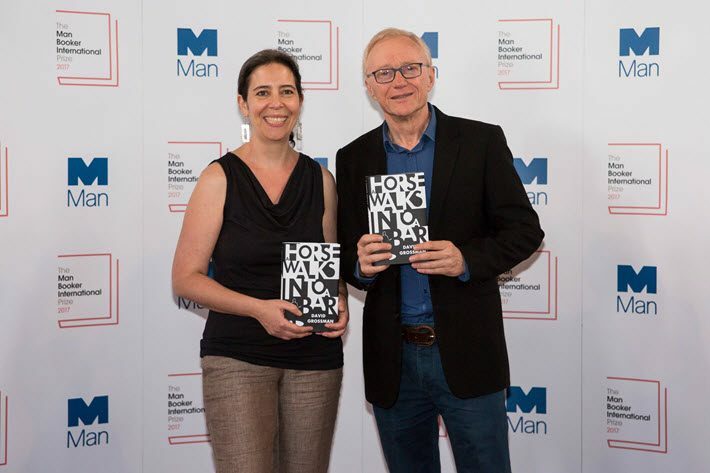 Author David Grossman and translator Jessica Cohen have been announced tonight (June 14) at London’s Victoria & Albert Museum as winners of the 2017 Man Booker International Prize for Grossman’s novel A Horse Walks Into a Bar. They split the £50,000 (US$63,000) purse evenly, and each receives an additional £1,000 for being shortlisted. In talking with Publishing Perspectives just after being handed the award in London on Wednesday evening, Grossman spoke of the book’s protagonist Dovaleh—a stand-up comedian going through a wrenching personal crisis—as a character with “so many contradictions, so unpredictable” that “he all the time kept surprising me. When asked how he feels today about the Palestinian-Israeli relationship—and where we may have come since he wrote his trenchant observations of life on the West Bank in 1988, The Yellow Wind “ (Farrar, Straus, Giroux, 1988)—Grossman said, “I think we’re in a worse condition now than we were 30 years ago when I wrote The Yellow Wind. “Then there was some kind of hope. Right now I think both parties, the Palestinians and the Israelis, are entrenched in their positions. They’re not courageous enough to make the necessary steps to achieve real compromise. 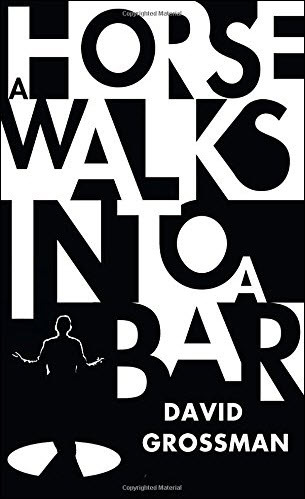 A Horse Walks Into a Bar was published in November in the United Kingdom by Jonathan Cape. In the States, it’s published by Alfred A. Knopf (February). And its peculiar translation challenge fell to Cohen, who is from Colchester, England, and was raised in Jerusalem. 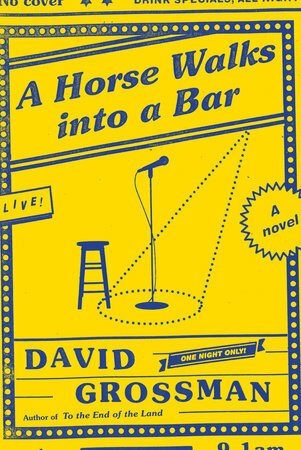 A Horse Walks Into a Bar is her fifth translation of a Grossman work, including the acclaimed To the End of the Land. She also has translated other major Israeli writers including Etgar Keret, Rutu Modan, Dorit Rabinyan, Ronit Matalon, Amir Gutfreund, Tom Segev, and the Golden Globe-winning director Ari Folman. “Translating David’s language is always very challenging, it’s always difficult,” she said. 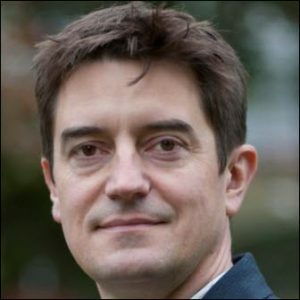 “He uses very rich language with a huge range, everything from biblical to extremely colloquial. That’s prevalent in Hebrew in general, but I think David is particularly adept at juxtaposing those two ends of the scale. “David Grossman has attempted an ambitious high-wire act of a novel, and he’s pulled it off spectacularly. “A Horse Walks into a Bar shines a spotlight on the effects of grief, without any hint of sentimentality. The central character is challenging and flawed, but completely compelling. Grossman is a bestselling Israeli writer of fiction, nonfiction and children’s literature. His works have been translated into 36 languages. In addition to the Frankfurt Peace Prize, he’s the recipient of the French Chevalier de l’Ordre des Arts et des Lettres, the Buxtehuder Bulle in Germany, Rome’s Premio per la Pace e l’Azione Umanitaria, and Israel’s Emet Prize. A Horse Walks Into a Bar unfolds over the course of one final show by stand-up comedian Dovaleh Gee. The book was chosen from a longlist of 126 titles, as reported by Publishing Perspectives in March. This is the second time the Man Booker International Prize has been awarded to a single book, with the £50,000 prize divided equally between the author and the translator–the prize’s newly implemented adjustment that’s specifically designed to illuminate the importance of both the author and translator. Last year’s winner was The Vegetarian by Han Kang, translated from Korean by Deborah Smith. According to statistics from Nielsen Book, translated fiction from Korea has grown 400 percent since 2016, something officials of the Man Booker International Prize say highlights the influence of its newly adjusted prize. 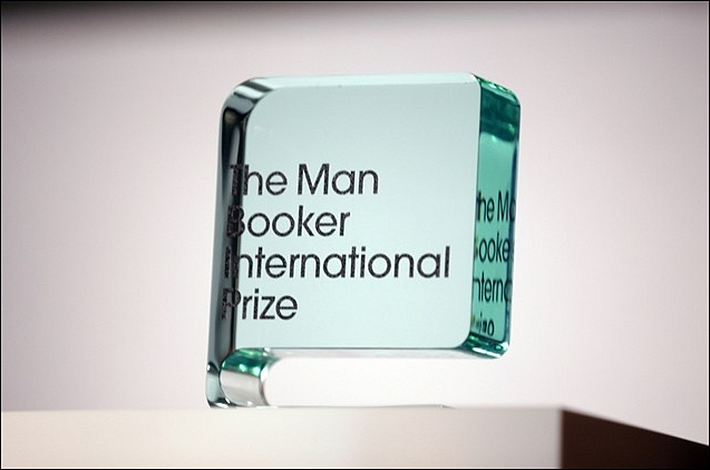 The Man Group sponsors both this award and the Man Booker Prize for Fiction. 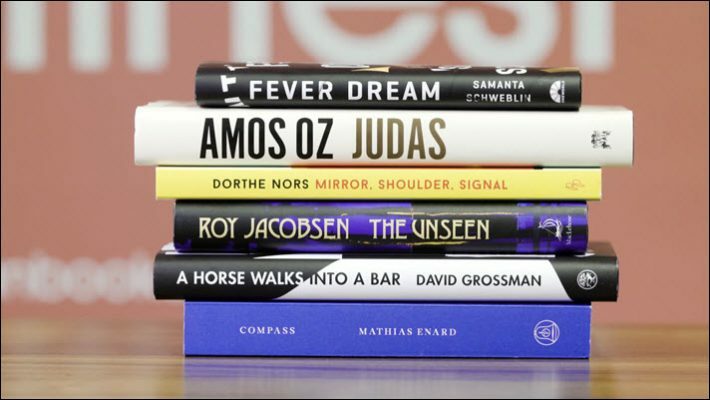 Books under consideration for the prize have been published in English in translation by UK publishers between May 1, 2016, and April 30, 2017.